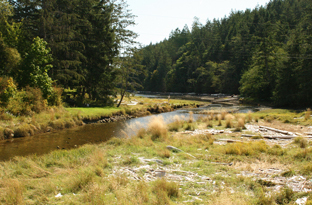 • Estuarine ecosystems occur where a creek meets the sea. Estuaries are where fresh and saltwater mix and become part salty or brackish water that mixes with deposited sediments and where everything is also influenced by the rise and fall of the tide. • Estuaries are typically small; occurring as meadows, marshes, and tidal flats, with a range of vegetation tolerant to fresh, brackish or totally salt conditions. 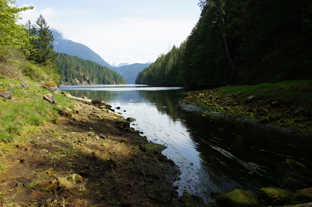 • Estuarine ecosystems are critically important areas for many marine and terrestrial lifeforms – from essential micro-organisms, tiny invertebrates and lush plants to migrating salmon and foraging bears. DIEM has mapped Estuarine Ecosystems Sage green in the Sensitive Ecosystems Mapping. 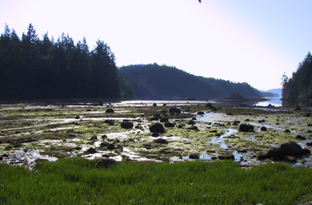 Estuarine ecosystems are transitional areas with a complex food web fueled by dynamic nutrient and oxygen-rich conditions that create some of the most biologically productive ecosystems on Earth. Resident invertebrates, fish, and plant species must be adapted to survive the physical challenges peculiar to estuaries. 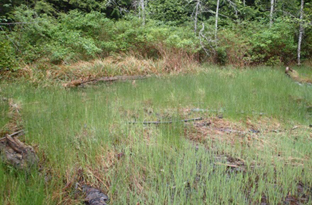 In the Discovery Islands, many of the larger creeks and inlets have small meadow or marsh estuarine ecosystems. Just as an estuary is where physical elements of ocean and land converge, it is also where the lifecycles of aquatic and terrestrial species intermingle. Salmon are one of the major catalysts of this interface. They utilize estuarine habitats at various points throughout their lifecycle when they come to reproduce, feed, or rest and refuel on their migrations. 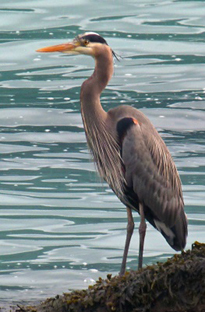 In exchange, both adult and juvenile salmon provide food for the many avian and terrestrial species that rely on estuarine ecosystems for their food supply. WHEN YOU EXPLORE estuaries, take care to protect the soil and vegetation. Walking on estuary plants crushes their fragile structure and can also damage anything living on or under them. Sediments are unstable, yet they are vital and erosion causes loss of valuable habitat. FAUNA Black bear, mink, great blue heron, bald eagle, mallard duck, American widgeon, common merganser, Canada goose, trumpeter swan, belted kingfisher, western garter snake, raccoon, Pacific lamprey, beach crab, pale tiger swallowtail, American dipper, river otter, coho salmon. SPECIES AT RISK Small spike-rush (Blue), Vancouver Island beggerticks (Blue, Special Concern), Henderson’s checker-mallow (Blue), salt marsh Philadelphia fleabane (Red), double-crested cormorant (Blue) green heron (Blue), pointed rush (Blue), yellow sand verbena. *For comprehensive species lists & rarity explanation, click here. 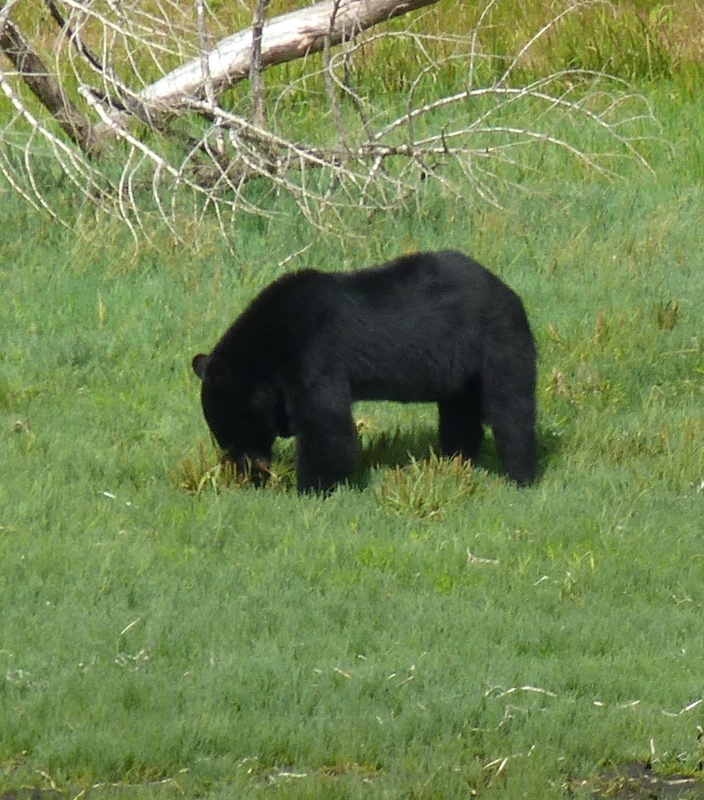 Black bears eat many green leafy plants in estuaries, like plantain. The bears find their way at night following their old trails, where tracks are often deeply embedded in the soft estuarine substrate. 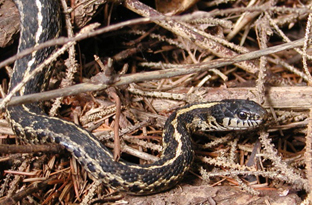 The western garter snake frequently forages in estuaries or inter-tidal areas. Unlike the other 2 BC garter snake species, this species of garter snake tends to be more aggressive and may bite, although the bite is not dangerous. Perhaps the rattlesnake-like diamond patterning is a warning! Estuaries are great places to view nature at work! Salmon and their eggs provide essential nourishment for many plants and animals. 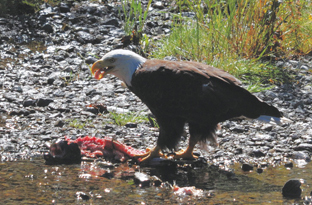 In the fall you can see bald eagles, bears, and many other wildlife species feeding in a salmon rich estuary. Seaside plantain has long succulent fleshy leaves and dense flower spikes. 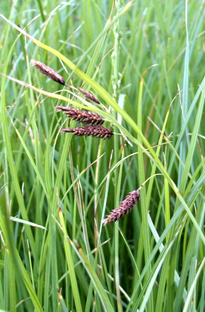 Both seaside and Alaska plantain provide forage for many herbivores and were eaten by some First Nations. 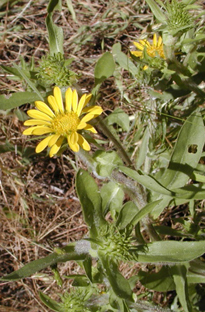 Entire-leaved gumweed is a large plant with many yellow aster-like flowers. 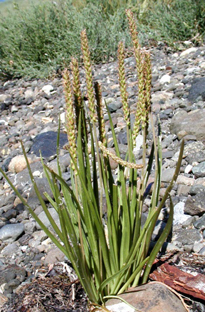 The plant is easily seen growing near the estuarine or beach shoreline. Under the flowers is a sticky white latex gum. 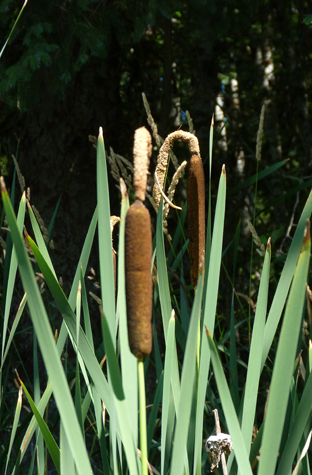 Hard-stemmed and soft-stemmed bulrushes or “tules” had many uses for First Nations. Dried stems could be woven into baskets and hats or layered into light valuable mats. Tules grow in fresh water and in brackish estuaries. Lyngby’s sedge is the most common marine mudflat sedge and grows in dense colonies. Its high protein content makes it a favoured food for geese, swans and bears. Estuarine ecosystems provide habitat required by juvenile fish. 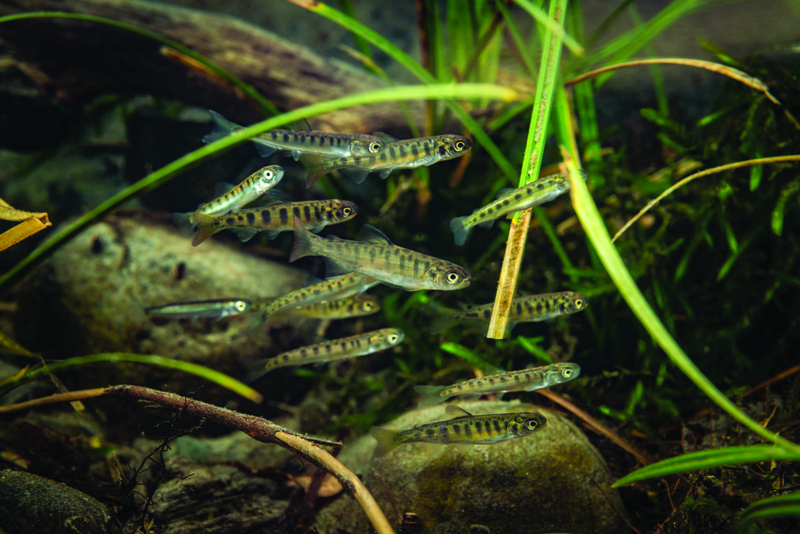 Young salmon shelter and feed in estuaries as they leave their natal streams and physiologically transition from their early life stage as freshwater fish to being salt water fish on their out-migration journey. 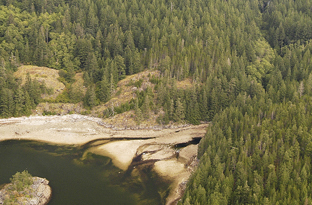 Familiar Locations Sonora Island, Cortes Island, Quadra Island, Read Island, Maurelle Island.